After being wrongfully accused of crimes she didn’t commit, young Zita has been tried and imprisoned on a dungeon world along with her friend, Mouse. She finds herself in a cell with a living ragpile and a talking skeleton–a skeleton whose fingerbones can open any lock. Befriending these two, Zita takes her first opportunity to break out and try to rescue her friend Mouse. Along the way, Zita finds unexpected help as the friends she’s made and people she’s helped along her journey join forces to help her escape. I’ve said it before, but Ben Hatke’s graphic novels are fantastic. I absolutely loved the first two Zita stories, and The Return of Zita the Spacegirl is the perfect conclusion to this delightful trilogy. While being perhaps a bit darker than the first two (being set almost entirely in a prison setting), the story remains consistent in its emphasis on friendship, courage, and doing the right thing. Zita’s an amazing girl, no question, and the friends she makes are delightful, unexpected, and heartwarming. The art is fabulous, full of quirky originalities. 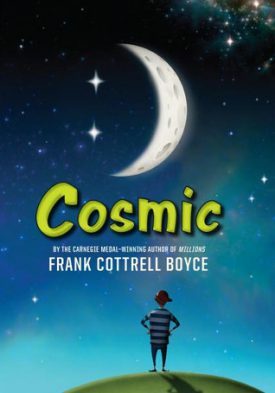 I also love that the story is rich enough to be fun for an adult reader while being clean and simple enough for an elementary-grade reader to also enjoy. Additionally, I liked that the ending of this one was conclusive enough that I’m not searching for a continuation while still being open enough that there could potentially be more volumes in the future (unlike the earlier volumes which absolutely demanded a continuation). 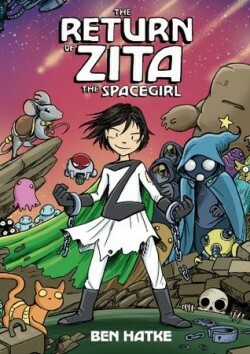 I think I would highly recommend The Return of Zita the Spacegirl to pretty much anyone–just read the first two volumes first. In the children’s home where Earwig and her friend Custard grew up, most of the children are excited and nervous when foster parents come through to pick which children they’ll take home. Not Earwig; she makes faces and tries hard not to be chosen. Why would she want to leave when everyone at the home does exactly what she wants them to? But one day, and ugly, wrinkly old woman and a tall, skinny man (whom Earwig could swear has horns) come through and, against all odds, decide to take Earwig home. Not home to a loving family, of course, but to be the witch’s assistant–the ugly woman being the witch, naturally, and a mean one as well. Earwig, not so easily discouraged, takes up the challenge to make this ornery, strange household do what she wants just like the people at the home did . . . and quite a challenge it’s going to be! If you’ve been around my blog much at all, you’re well aware that Diana Wynne Jones is one of my absolute favorite authors. 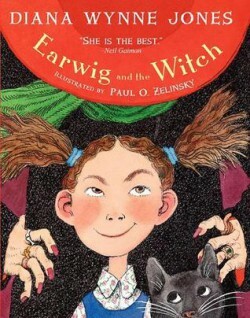 Earwig and the Witch was actually a new read for me, and quite the fun story it was as well. It’s a shorter story than most of hers, only 6 chapters, if I recall correctly (I’m not bothering to look right now), but told with all her usual aplomb. The plot is also a bit simpler, making this accessible to a younger (say upper elementary, perhaps?) audience. I think what struck me most about this story is that the main character is, in a sense, rather as awful and ornery as the witch herself–which is possibly why they fit so well together. 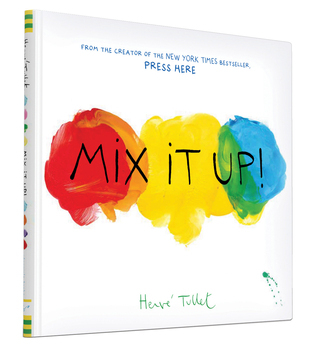 But the way in which this clever, determined child finds ways to beat the stronger, better-positioned adults is oddly reminiscent of Roald Dahl’s writing at times. I really loved it! Earwig and the Witch is a highly recommended read all around. Being famous isn’t all it’s cracked up to be, you know? Zita quickly finds this out after she and her friends save Scriptorius. Soon her picture is plastered on walls everywhere she goes, and everywhere she is greeted by huge crowds wanting to meet her and get her autograph. Sometimes she’d really just love some time to herself, right? So when Zita encounters a robot that almost-perfectly mimics her, she decides to take advantage of the situation for a while and let this robot take her place–just long enough for her to get a break. The only trouble is that robot-Zita sees itself as the real hero, as Zita herself, and volunteers the crew to go save a planet . . . leaving the real Zita and her friend Mouse behind! I absolutely loved the first Zita graphic novel, and I think Legends of Zita the Spacegirl is a strong follow-up, consistently portraying the things that I loved in the first volume. Zita is a strong character, and she encounters a lot of strong individuals along her journey–several of whom have a huge impact on her. I really loved the introduction of Madrigal in this volume; it’s clear she and Piper have a history, and I’m really curious to see that developed more. And I appreciated that robot-Zita, although wrong for a good part of the story, has redeeming aspects to her as well. The plot is exciting and full of adventure, but definitely ok for elementary-age kids. It even highlights important character traits like loyalty and self-sacrifice, while avoiding being “preachy” in the slightest. And I just love the art; it’s gutsy and adorable, whimsical and eclectic. Actually, it reminds me a lot of the work of Hayao Miyazaki and Kazu Kibuishi, while still having its own unique quirks that are just fantastic. 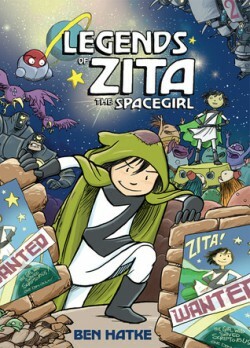 I would highly recommend Legends of Zita the Spacegirl to just about anyone of any age; it’s a wonderful story!